PARIS—Michelin is sticking by its earlier 2013 earnings forecast despite lower sales in the third quarter, a worsening currency effect and a negative price-mix ratio during the period that ended Sept. 30. Michelin's sales revenue fell 5.3 percent in the quarter to $6.92 billion despite a 2 percent rise in sales volumes. 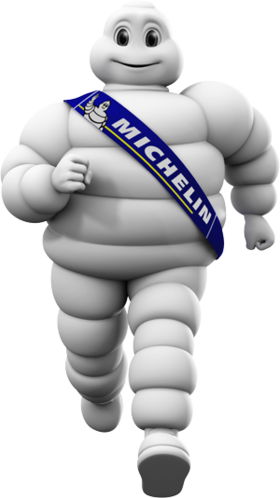 Michelin did not release earnings at this time, but said it expects to hit its fiscal 2013 goal of increasing its operating income for the year by about $200 million over 2012. Sales for the nine months fell 5.3 percent to $20.7 billion. To offset the impact of unfavorable exchange rates, Michelin said it is tightening its management of key levers, notably through enhanced control of gross margin and costs. The volume increase coupled with a rise in the second quarter to offset a drop in the first quarter to put the firm on par with the first nine months of 2012, Michelin said. Michelin said the price-mix effect was a negative 2.4 percent, reflecting stable replacement tire prices following targeted price repositionings for certain car and light-truck tire ranges, as well as raw-materials-related contractual adjustments. By segment, Michelin reported sales drops of 3.3, 5.2 and 11.5 percent, respectively, in the passenger car/light truck, truck tire and specialty tire business units.